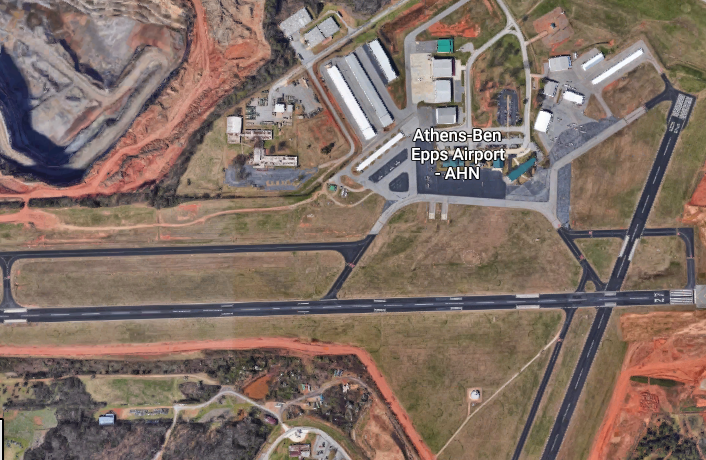 For the last five months, the Athens-Ben Epps Airport has diverted charter and corporate flights to a secondary runway due to construction. The main runway, which has been closed since July, will reopen in the next few days after a major $11 million renovation. Airport Director Mike Mathews said no improvements have been made to the runway in about 40 years. The cracks in the pavement were really wide, making it unsafe for planes to land. Basically, it was going to be shut down if something didn’t happen,” Mathews said. Pilots flying into the airport will see new FAA approved signs, brighter lights and a repaved and grooved runway to make it safer for planes to land, particularly in the rain. Mathews said he hopes to build new hangars, fix the secondary runway and update the taxiway during their next round of renovations. Mathews said he wants the renovations to bring passenger flights back to the airport. The last passenger flight took off from Athens in 2014 and went back and forth from Nashville. Currently the only flights that come into the airport are charter, corporate and unscheduled Delta flights that fly the University of Georgia football and basketball teams. Mathews said they are looking into passenger flights going to and from Charlotte because that seemed to be a popular flight in the past. They are not trying to create another Hartsfield-Jackson, but he said they want to maintain the rich aviation history in Georgia. The airport was opened in 1917 by Ben T. Epps, the first aviator in Georgia. Mathews said he wants the airport to be a perfect fit for the Athens community. and Mass Communication at the University of Georgia.